But what is this hype related to traveling first class all about and how can you get a cheap first class flight? 2. What All is Included in a First-Class Flight Experience? 3. How Much Does it Cost to Fly First Class? 5. How Can I Fly First Class Cheap? 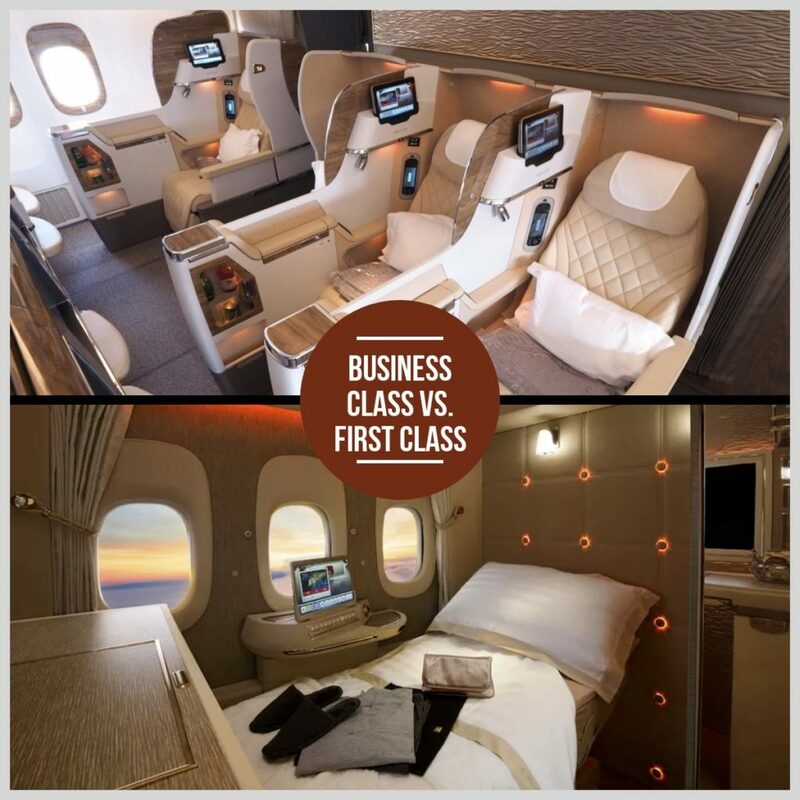 For starters and new-flyers, it is important to understand the significant difference between flying first and business class before we talk about money issues. Above all, the exact answer depends on the airline and aircraft you are traveling with and the route adopted. For a few airlines business vs first class doesn’t make much difference. While for others, flying first class, especially on international flights translates to better service, higher quality food and drinks, and a luxurious journey. Before asking for the cheapest first class flights think of palatial suite-style seats, pampering services, and luxurious activities – both in the air and on the ground! 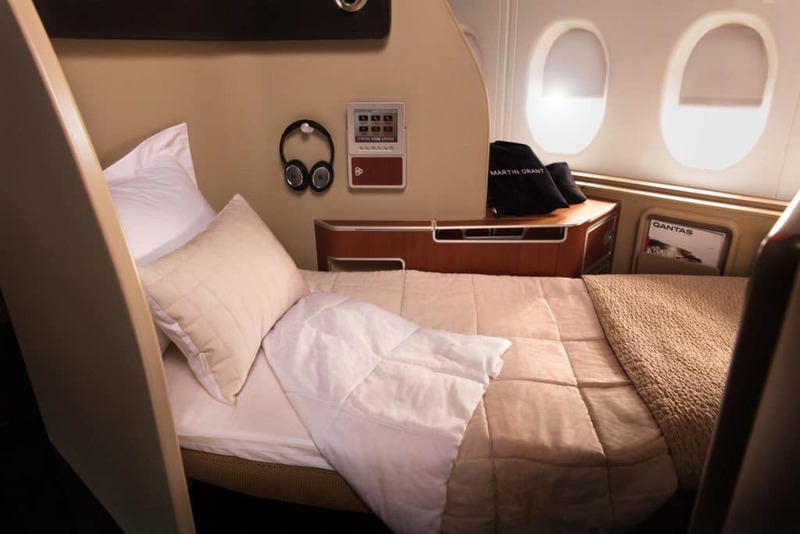 Recently, Singapore Airlines and Emirates revealed their upgraded first-class suites. They are synonymous with extravagant amenities consisting of Mercedes-inspired interiors and in-suite minibars! Definitely, flying first class is a luxurious experience to remember but it comes at its own costs. 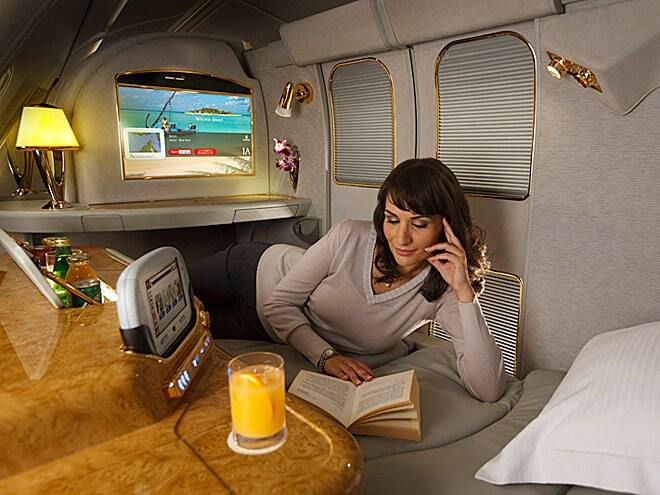 For instance, a round-trip ticket to Geneva from Dubai in Emirates Airline would cost you $8,000, and even more. But this doesn’t mean that you cannot travel first class. Mark our words – you can! All you need is a cheap first class flights ticket and this is what this article is all about. What is Included in a First Class Flight Experience? First class flight experience is a luxury in itself. From getting the food prepared by a Michelin-star chef to a fine dining experience, sterling silver cutlery, and lie-flat seats – airlines go an extra mile to please their highest paying customers. But all this doesn’t end here. Some airlines go to the extreme by offering the most noteworthy extras as full-body massages, and a full bar on the plane. Many airlines offer a chauffeur service to and from the airport, so you never have to worry about missing your flight again. There are various airlines which provide a Meet & Greet Service before and after your flight. 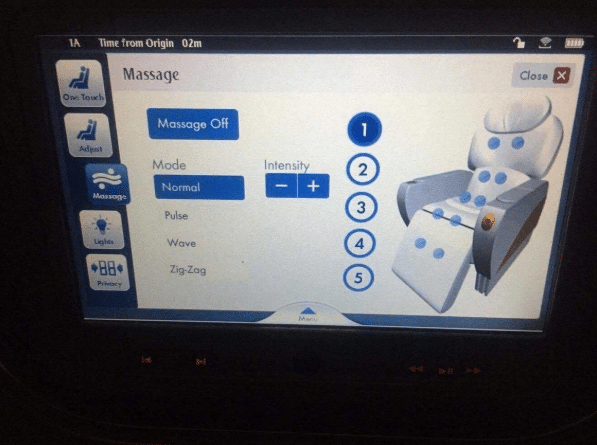 Airlines leave no stone unturned in helping you relax. On the same lines, various airlines even offer a lounging area specially meant for first-class flyers to help them relax and finish their last-minute errands on their laptop while they wait for their flight to depart. Likewise, let us tell you that first-class lounges are luxurious and contain massage studios, dining experience, library and business studios for you to work in peace. 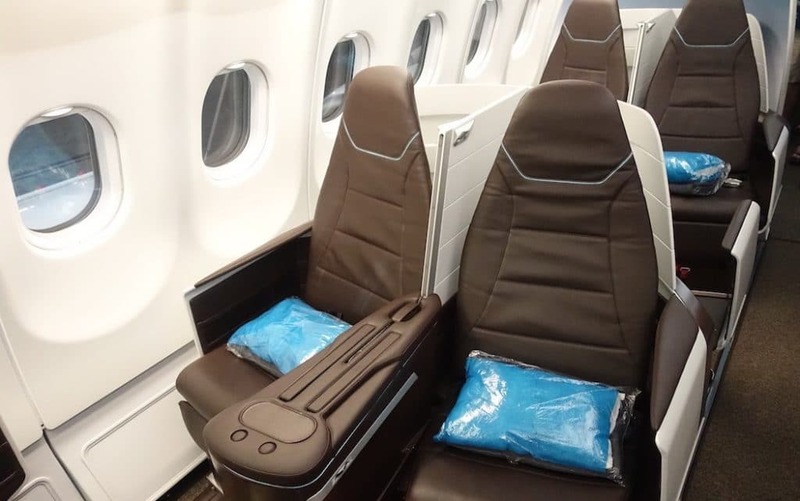 Above all, first-class seats are located in the front of the plane.Consequently, as a first-class traveler, you will be greeted with a priority boarding. Additionally, you will be the first one to go in and out of the plane. As expected, seats are luxurious and wider with more legroom when compared to the other classes. Depending on your discount first class airline tickets, you might even get to have leather lie-flat seats. Thus, you can have a sound sleep before the plane lands. Furthermore, there are various airlines, such as Qantas, which provide private jet beds for you to rest during the flight. What more can one ask for? Flying first-class means experiencing fine dining with silver cutlery. You can even expect to have some finest champagnes during the flight, such as Dom Perignon. Almost all airlines provide an unbeatable entertainment to the first-class flyers. From featuring 16” to 20” HD displays and providing 3000 movies, music and TV shows at your disposal, you won’t get bored a single moment. What’s even more? Certain airlines also provide noise-canceling headphones to further add to your luxury. Each first-class cabin provides a few power outlets to help you power your laptops, tablets and other electronic devices. The amenity kit varies from airline to airline, but speaking generally, almost every kit includes a luxury cosmetics line to pamper yourself and designer sleepwear to make you feel at home. Some will even offer socks and slippers, an aromatherapy kit, along with eye masks and earplugs. 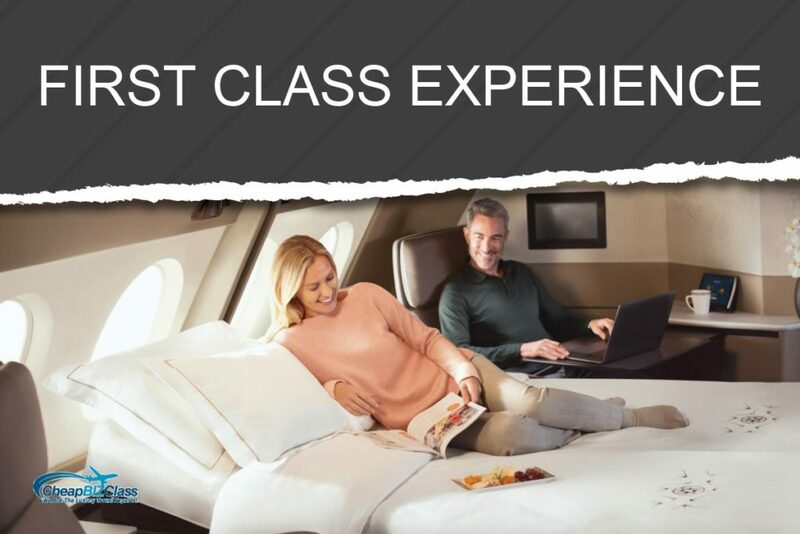 First-class flyers experience an impeccable service throughout the flight with stewards meeting each of their needs in a polite and personal manner. Finally, first-class cabins are designed to take care of your privacy with enough room and separators. Thus, you can indulge in your work or personal conversations without being disturbed by other passengers. More often than not, there are a small number of fellow passengers in a first-class flight and consists of about 20 to 30 seats. Most airline companies offer in-flight Wi-Fi, which is a great perk if you plan on being productive while on air. Since the first-class compartment is located at the front of the plane, you will be the first to get out of the plane. Some airlines provide you with a meet and greet service at the airport. You will be offered a ride to the hotel or business establishment that you are headed to after your flight. How Much Does it Cost to Fly First Class? 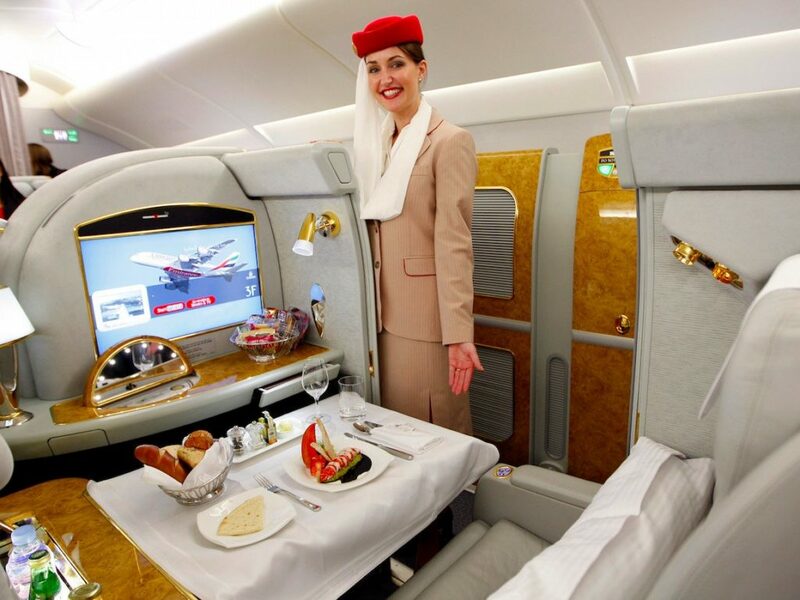 We already provided you with a quick glimpse of how much is it to fly first class. This should have set your expectations pretty high. Hence digging deeper into the subject, flying first class is around 11.2 times more expensive than Standard Economy! Put differently, you can easily fly 11 times from New York to London for the same price. 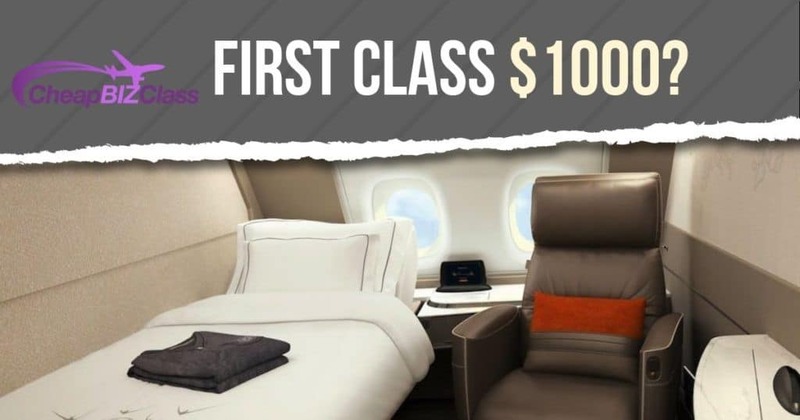 If you still want to travel first class, there are various ways through which you can manage to earn discounted first class tickets. And this brings us to the next question – how cheap can be the cheap first class fights? A well-planned strategy can help you get a cheap round-trip first-class ticket for $1000 for domestic and $1500 for international flights. In spite of the easy availability of best first-class flight tickets, flying internationally for business purposes is not that common in America. According to The Department of Transportation, only 7% of business trips cover 1,000 miles or more. Nevertheless, for the business trips that do occur, London has been a top business travel destination for 2018. It provides an easy platform to the globe’s multinationals and businesses to connect to each other. Frankfurt, on the other hand, has become Europe’s top financial center. This is because this German city houses an array of world’s top banks. 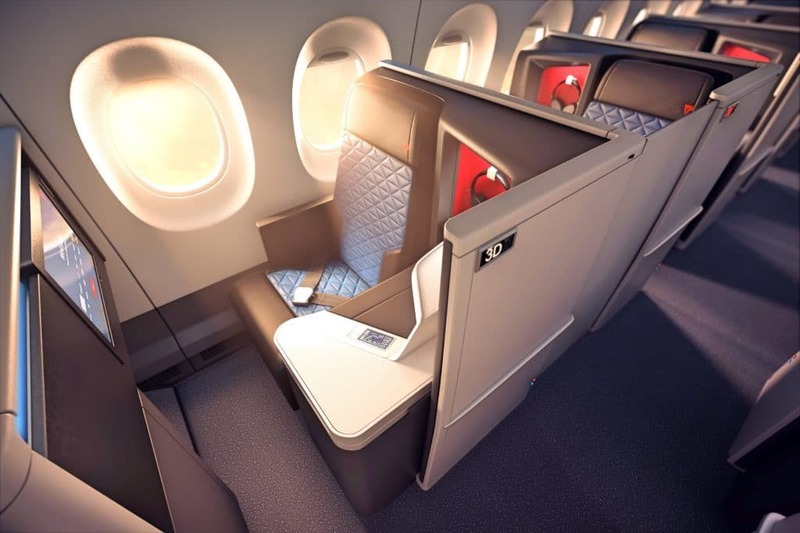 A full-height door for extra privacy, lie-flat seats, dedicated personal service and a luxury Kiehl’s amenity kit – these are some of the perks you get on long-haul flights with Delta. The airline connects you to all the major cities of Europe, including Zurich, Milan, and London. Cheap first class tickets to Europe with Delta Airlines will cost you almost $3600 on an average. According to the data provided by Flightstats, KLM is the world’s most punctual airline with 88.5% punctuality. Providing only business-class service, the airline offers designer interiors, fully-reclinable seats, in-seat power and in-flight entertainment on 17’inch HD display. You can fly non-stop to major cities in Europe, including Dublin, Milan, and London. 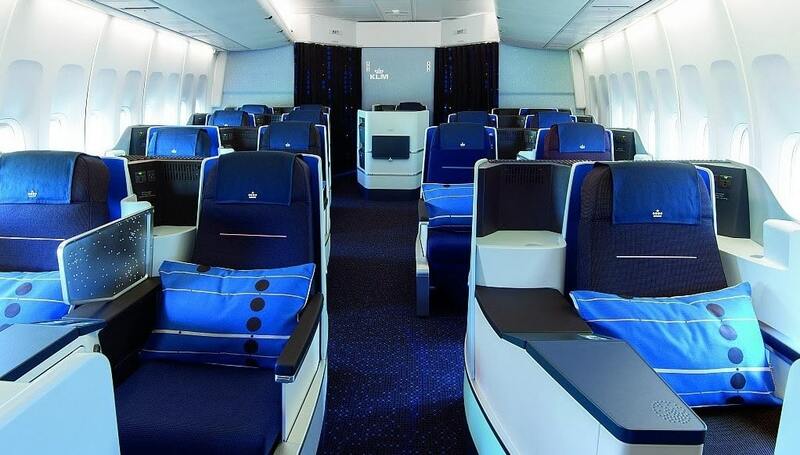 Cost of first-class flight to Europe with KLM will be almost $3500 on an average. 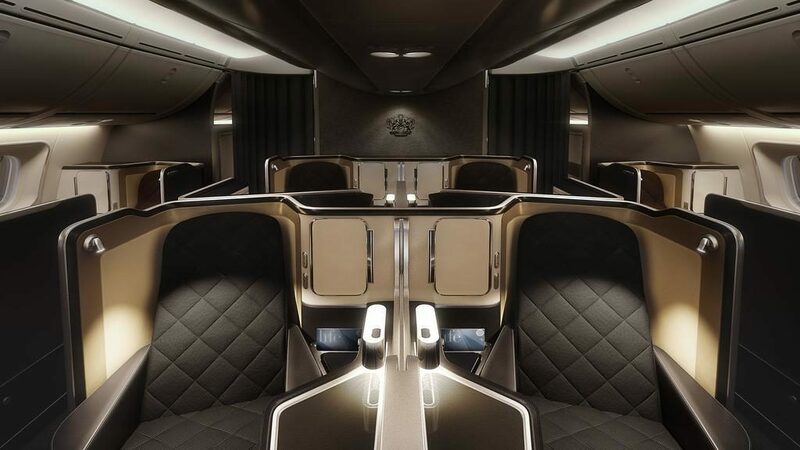 With its lie-flat seats, luxurious amenity kit, wide champagne selection, and an excellent dining a-la-carte menu, British Airways will make you feel like a queen or a king. You can fly non-stop to major cities in Europe, including London, Paris, and Barcelona. A cheap first-class round-trip ticket with British Airways will cost you almost $3700 on an average. Lufthansa offers a top First-class service with lie-flat seats, over 100 movies and 200 shows and a variety of fine-dining options to choose from. You can fly non-stop to major cities in Europe, including Munich, Dublin and, Barcelona. A cheap first-class flight with Lufthansa will cost you almost $3800 on an average. 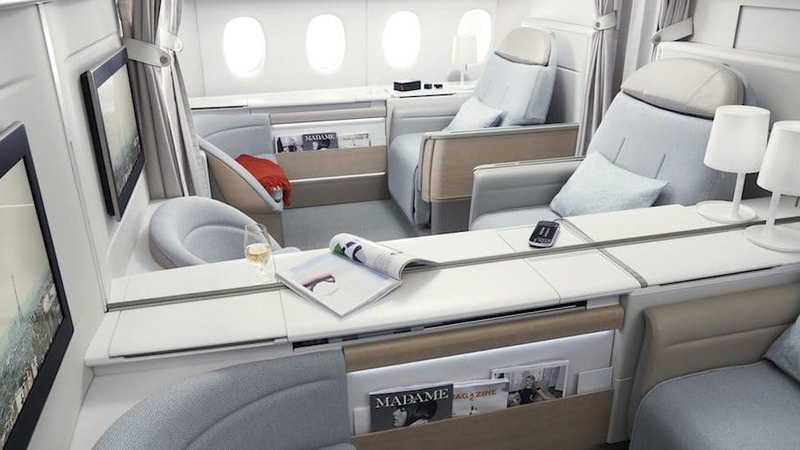 When flying first class cheap with Air France, get ready to have a menu prepared by a Michelin-star chef, a private pod with a lie-flat bed and over 500 hours of entertainment on a 16-inch screen. You can fly non-stop to major cities in Europe, such as Paris and Milan. 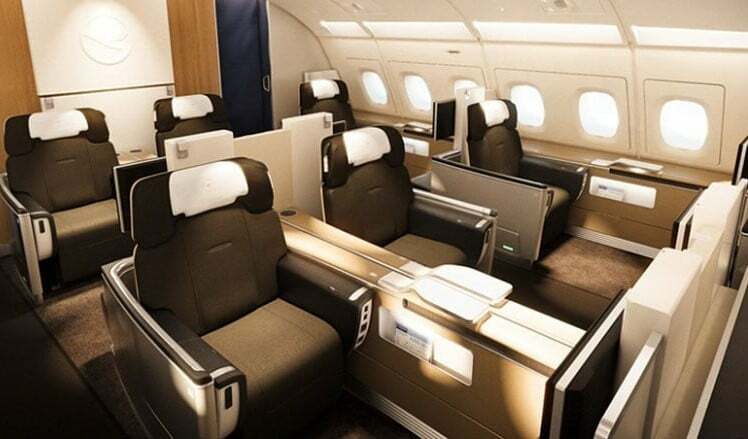 Cheap first-class international flights with Air France will be almost $3200 on an average. Did you know that Turkish Airlines holds the number one spot for serving 120 countries? What’s even more? Turkish Airlines’ business-class is the highest rated among European carriers. 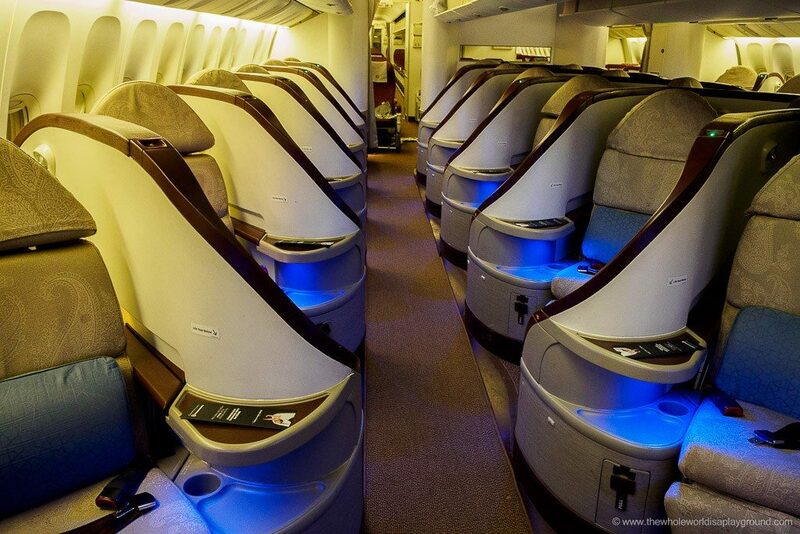 Hence the airline provides the best first-class flying experience with lie-flat beds and gourmet dining. You can fly non-stop to Istanbul from New York, LA, Chicago, Boston and San Francisco. A discounted first-class travel with Turkish Airlines will cost you almost $4400 on an average. With over 90 hours of in-flight entertainment and lie-flat seats (90% with direct access to the aisle), you can finally travel in style. You can fly non-stop to Dublin with Aer Lingus from New York, San Francisco, Chicago, Boston, and Los Angeles. A discounted first-class airline ticket with Aer Lingus will cost you almost $3600 on an average. 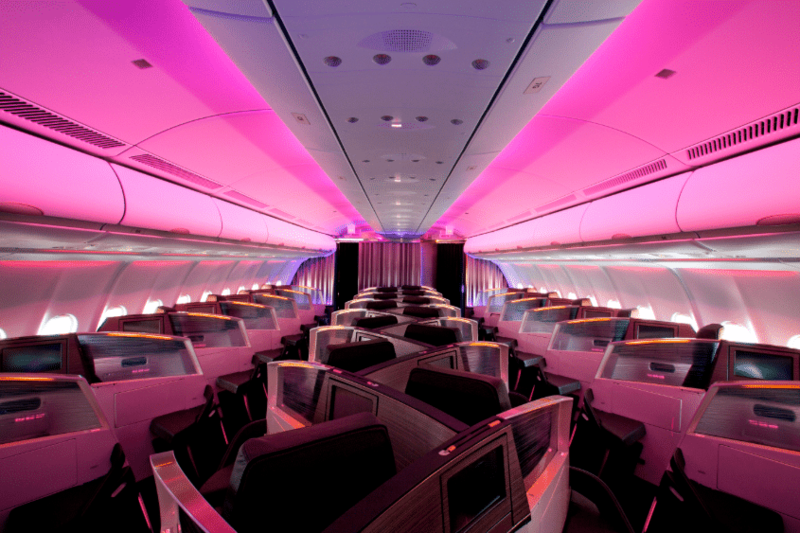 Virgin Atlantic’s first-class experience starts from the ground and ends with a dedicated chauffeur service, dedicated check-in, club lounge, leather seats, and a fine-dining service. You can fly non-stop to London from New York, Los Angeles, Miami, Atlanta, and Boston. To fly first class cheap will cost you almost $3800 on an average. Asia is one of the top business destinations in the world. Further, China is gradually taking over the USA to emerge as the number one business travel market in the world. According to a report by Statista, business travel spending in China reached 317.97 billion U.S. dollars in 2017. Emirates was named as the Best Airline in the World in 2016. 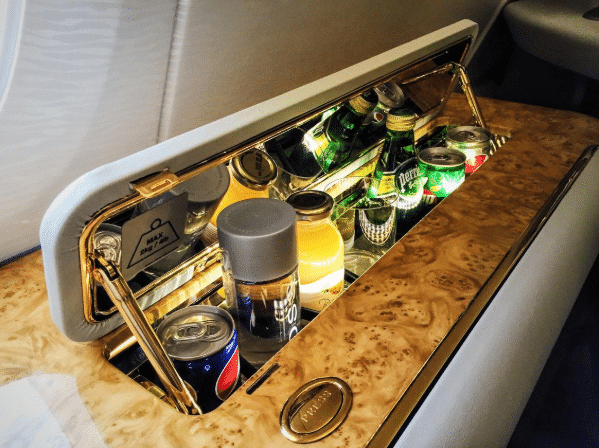 It provides outstanding amenities to the first-class flyers including state-of-the-art in-flight entertainment, complimentary chauffeur service, and a full cocktail bar. You can fly non-stop to Dubai from New York, San Francisco, Los Angeles, Chicago, and Washington. 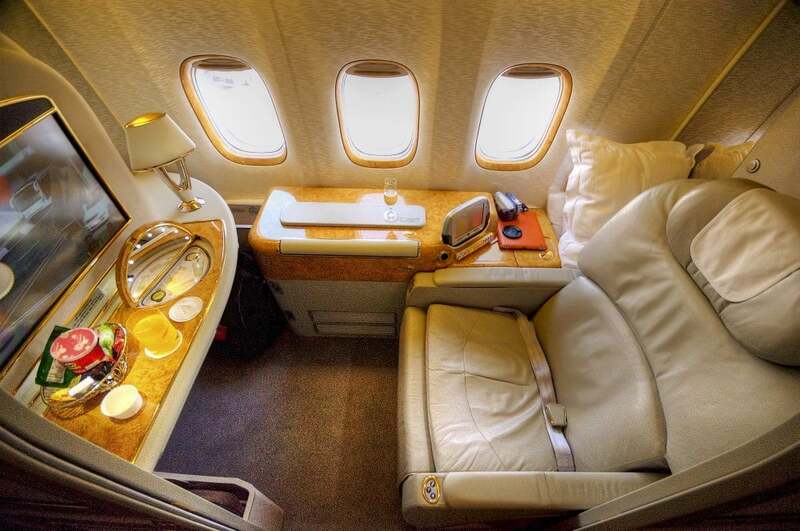 A cheap 1st class round-trip ticket with Emirates will cost you almost $4200 on an average. 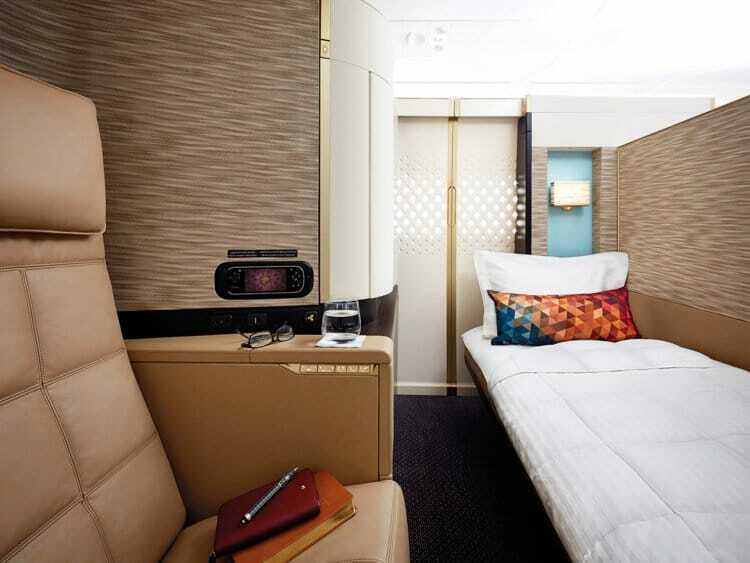 Etihad’s first-class apartment offers a large leather armchair and a separate 6 feet bed. Some of the Business studios are equipped with a massaging lie-flat bed and a lobby lounge for networking purposes. You can fly non-stop to Abu Dhabi from New York, San Francisco, Chicago, Washington, and Dallas. 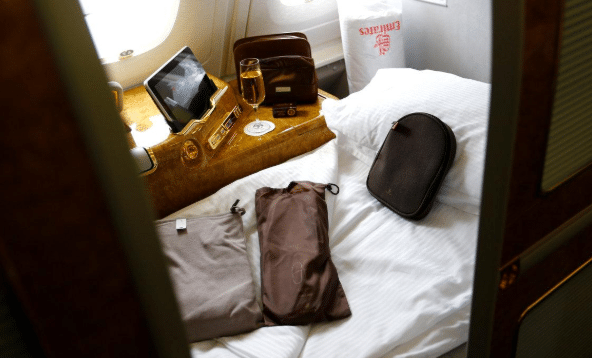 Cheap first class flights to Asia with Etihad will cost you almost $4200 on an average. Cathay Pacific flies regionally. Some of the amenities include a top-notch entertainment system, lie-flat beds, and a luxury amenity kit. You can fly non-stop to Hong Kong from New York, San Francisco, Chicago, and Dallas. 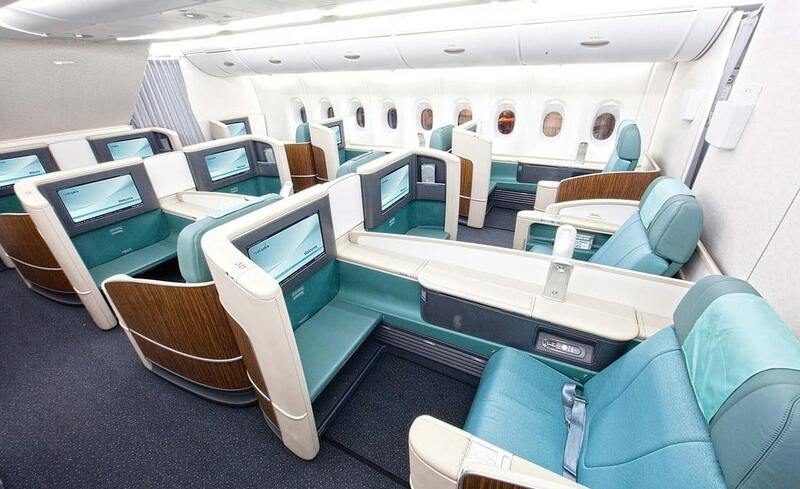 First class flight deals with Cathay Pacific will cost you almost $3200 on an average. 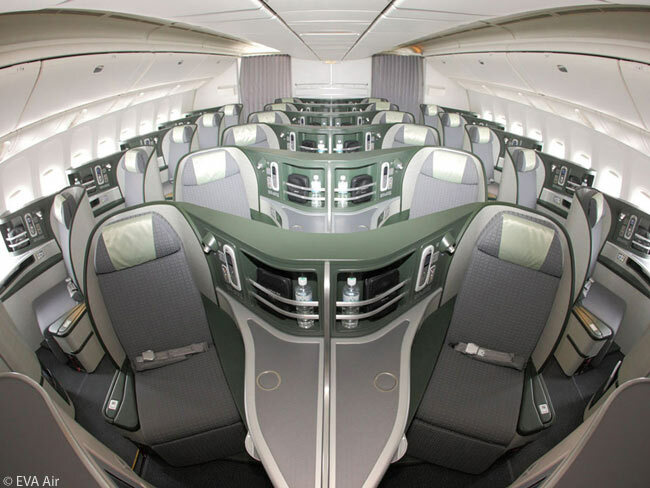 Eva Air is known for offering the most beautiful first-class products in the world with amenities, such as lie-flat beds and overnight kits. You can fly non-stop to Taipei from New York, San Francisco, Chicago, Seattle, and Los Angeles. Qatar Airways holds the Best Airline in the World award for 2017, according to Skytrax. 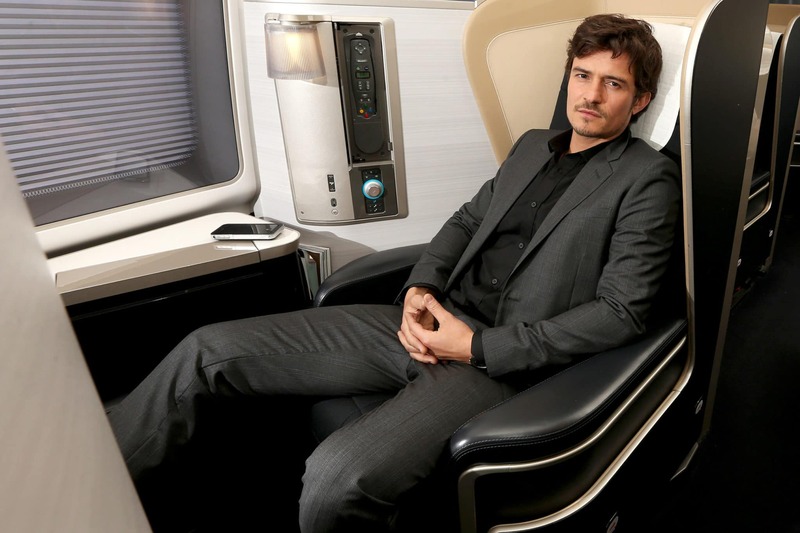 The airline provides a range of perks to its first-class travelers. Some of them are Giorgio Armani amenity kit and personal entertainment system. You can fly non-stop to Doha from New York, Los Angeles, Chicago, Washington, and Dallas. 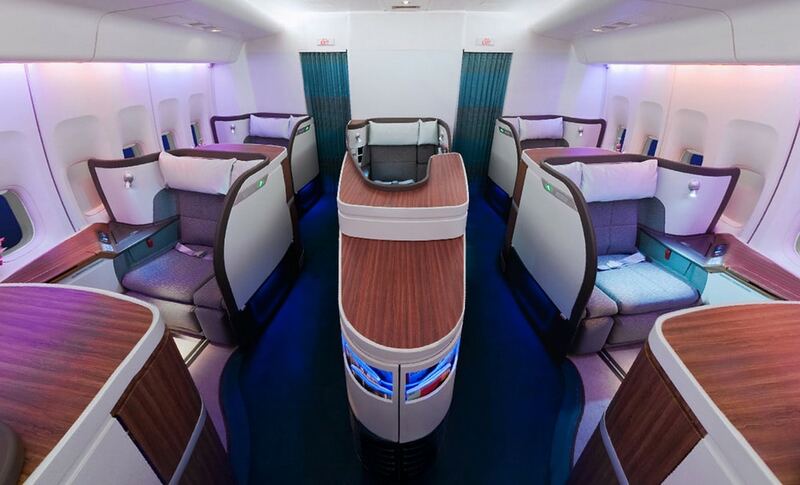 Korean Air makes you “fly in luxurious comfort.” All we can say that this is not far from the truth. Consider the variety of cabin options (suites and ‘sleepers’), the amount of privacy and the impeccable service on board. You can fly to Seoul from New York, San Francisco, Chicago, Honolulu, and Los Angeles. A cheap first class round-trip ticket will cost you around $2700 on an average. 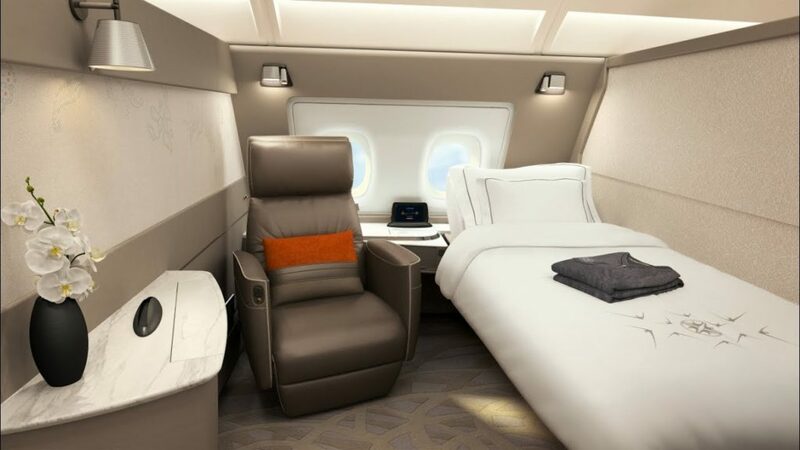 Singapore Airlines offers one of the most fabulous first-class options, such as a 78-inch bed, luxury dining, and an 18-inch entertainment display. You can fly non-stop to Tokyo from New York, San Francisco, Los Angeles, and Miami. 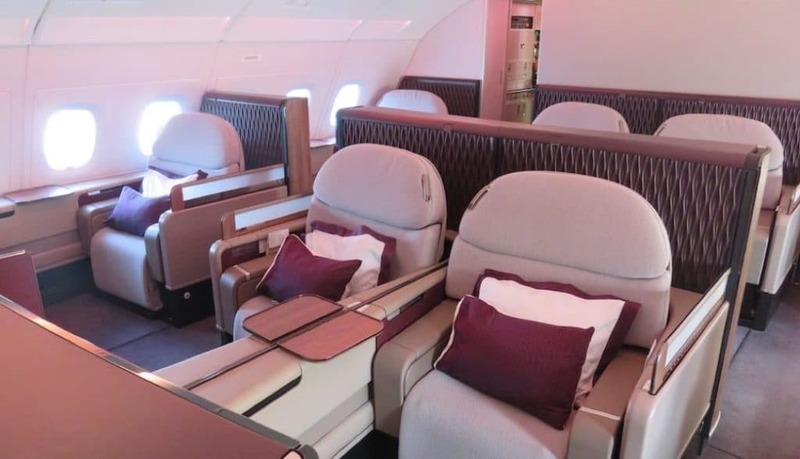 Flying first class cheap with Singapore Airlines will cost you about $3900 on an average. Private in-flight entertainment, lie-flat seating and gourmet dining are some of the perks that the Japanese airline offers in first-class. You can fly non-stop to Tokyo from New York, San Francisco, Chicago, Seattle, and Los Angeles. Cheap first class airline tickets with ANA will cost you about $3300 on an average. Chauffeur service, a private lounge with a full-body massage. As a result, Thai Airways will win your heart forever. You can fly non-stop to Tokyo with from New York and Chicago. 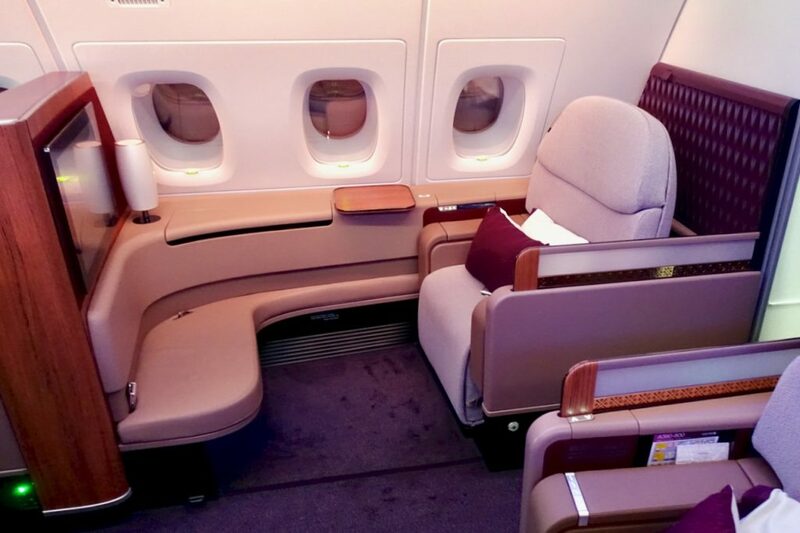 Cheap first class flights with Thai Airways will cost you about $3400 on an average. Lesser known airlines, such as Asiana (to Seoul), Philippine Airlines (to Manila) and China Eastern (to Shanghai) can offer cheaper first-class fares. Australia is known for its heavenly beaches, bizarre animals, wildlife, and incredible forests. This is the reason perhaps why Australia is one of the most popular tourist destinations in the world. How to get cheap first class airline tickets to Australia? 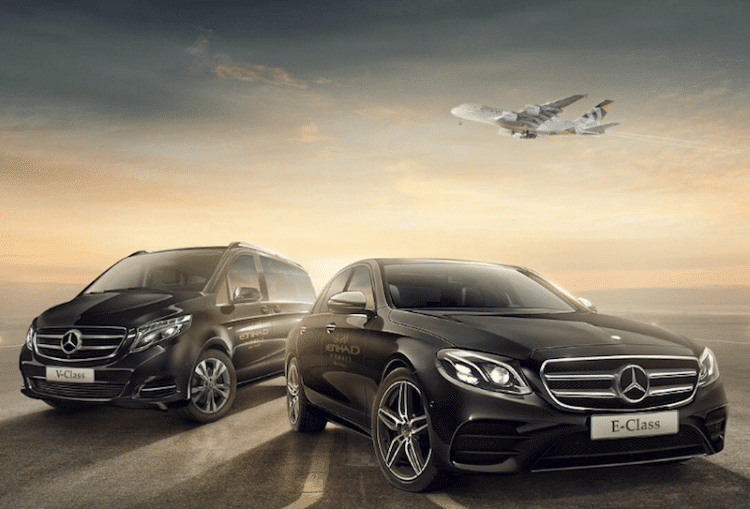 The Qantas is known for providing amazing first-class service consisting of a chauffeur service, a warm welcome by a host, a full bed during the flight and others. You can fly non-stop to Brisbane and Sydney from New York, San Francisco, Dallas, Honolulu, and Los Angeles. The 1st class to Australia with Qantas will cost you about $4400 on an average. 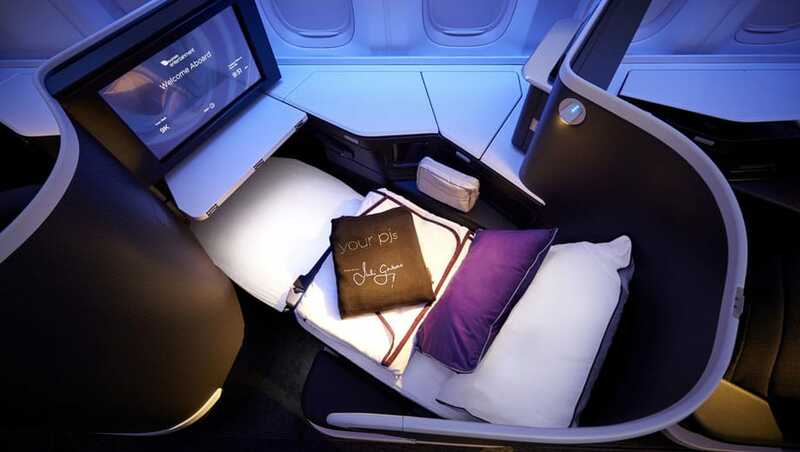 Virgin Australia is stepping up the long-haul international first-class flights. Seems like the best company to fly with a private suite. Its bar on the plane can fit up to 10 guests. A discounted first-class round-trip ticket with Virgin Australia will cost you about $4330 on an average. With a contemporary, island-style design, Hawaiian Airlines is popular for its impeccable service and hospitality. 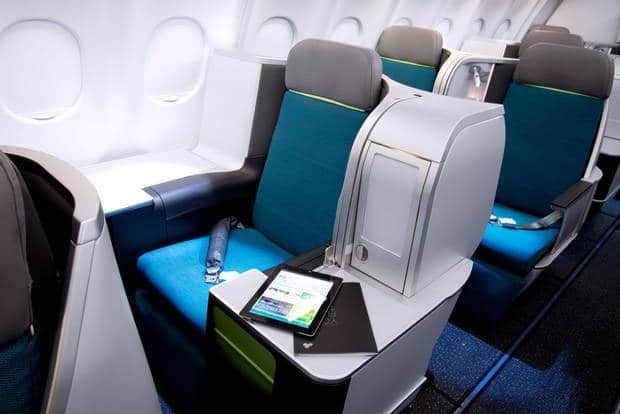 Its first-class include lie-flat seats, world-class cuisine and in-flight entertainment on an adjustable tablet that lets you from all angles. You can fly non-stop to Sydney from Honolulu. 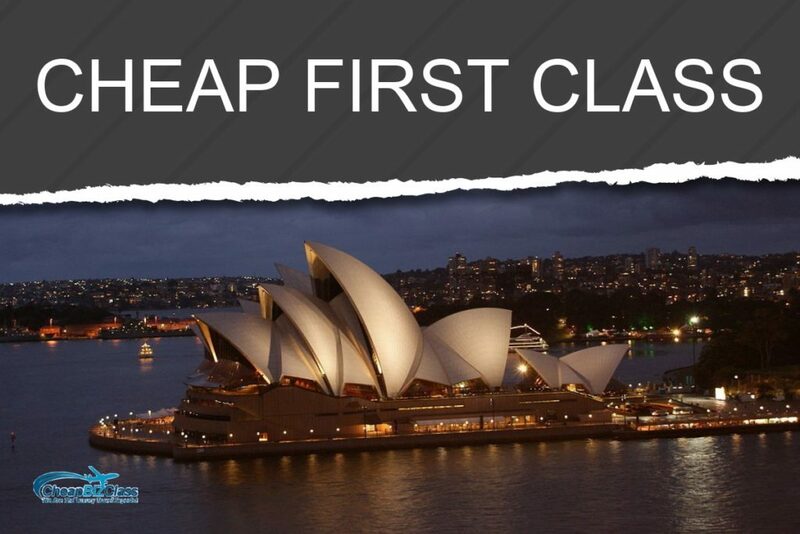 Cheap first class flights to Australia with Hawaiian Airlines will cost you about $2,500 on an average. How Can I Fly First Class Cheap? Finally, there are a lot of possibilities that you can figure out. For the reason that gets in touch with the airline’s agents to grab the best deals. That said, you can save up to 70% of the retail price by clutching the exclusive discounts and last moment deals. 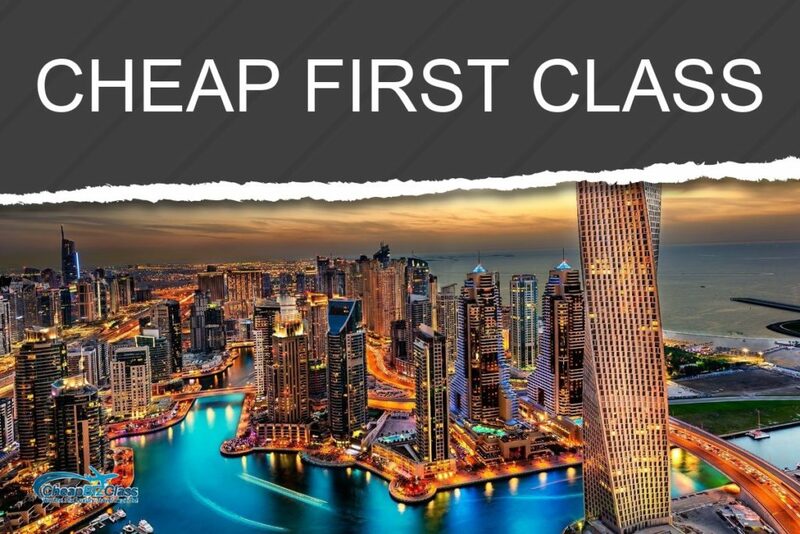 Cheapbizzclass is one such service which offers massive discounts at international business and first-class tickets. 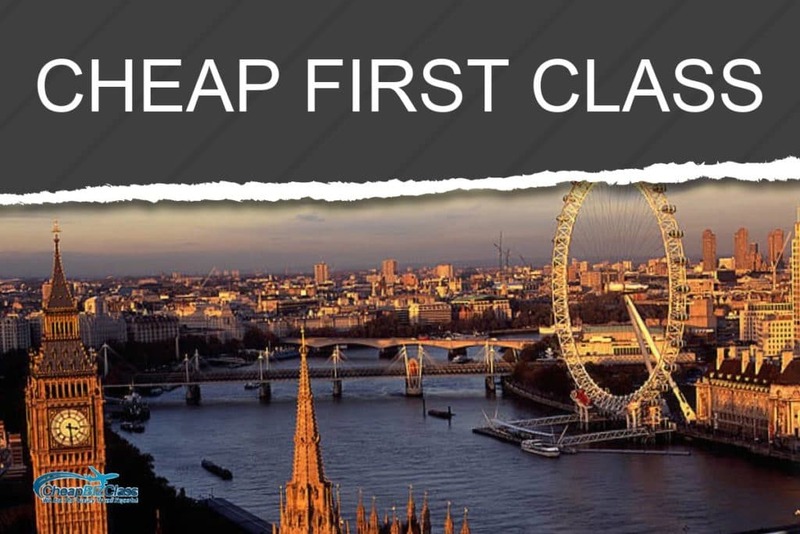 Thus, instead of spending tons of money to get the most comfort class while traveling, simply contact Cheapbizzclass. We will help you find tickets that are nearly 70% lower than retail prices. What’s even more? We have an amazing customer service that helps you out right from the first call to the reaching point. Call 1-888-302-0053 and speak with live agents 24 hours per day. Our experienced travel Insiders there is no need to wonder how to get cheap first class seats anymore. They will provide you exclusive and lowest-price fares up to 70% discounts. The first class lounge is there for you, no matter, you need to socialize or enjoy the quietness. If people are open to talking, you can go ahead and chat. However, if they are not, let them rest and focus on your first-class meals and drinks. Do not rush! You have a verified seat on the plane, thus, allow other first-class passengers to board or seat before you. The crew is usually very busy settling the passengers down. Thus, let them do their job and ask for magazines later. In most flights, there is a private first-class bar with a broad range of beverages. The alcohol is free, but it is highly recommended to keep your alcohol consumption in check and do not intoxicate your body. If you want to know more about how to behave when flying first class, click here. 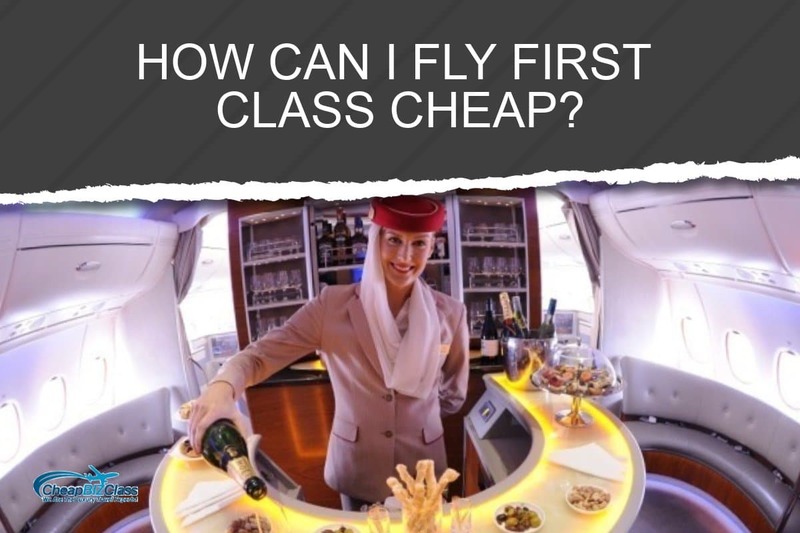 We hope this article provided significant information on how you can get cheap first class airline tickets and fly first class cheap. 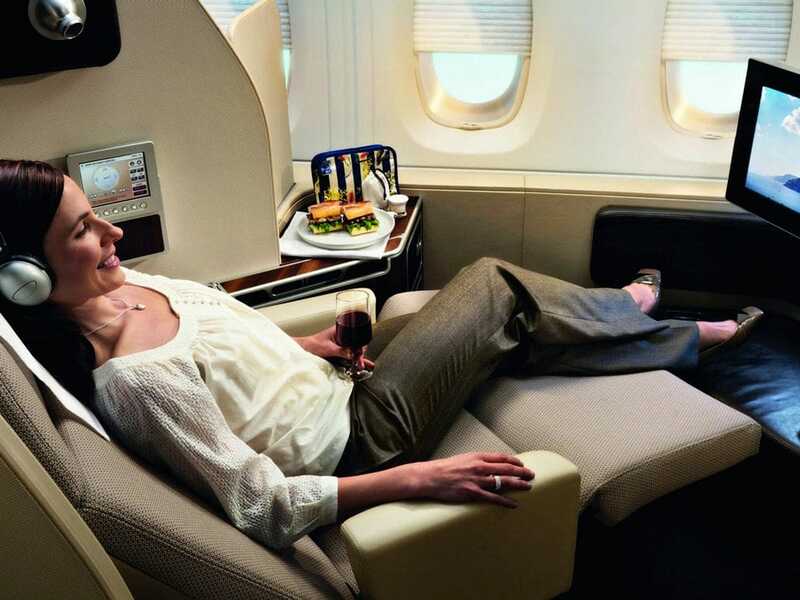 Rest assured, flying first class is a luxurious experience which is worth a try. So, all set to fly? Or, do you have any queries? Write to us in the comments below! For amazing discounts and deals on first class flight tickets, stay tuned and contact us today!